A Goan Sojourn For Filmmaker Ritesh Sidhwani! Home BOLLYWOOD A Goan Sojourn For Filmmaker Ritesh Sidhwani! Film Producer Ritesh Sidhwani is currently enjoying with his family and friends in Goa. 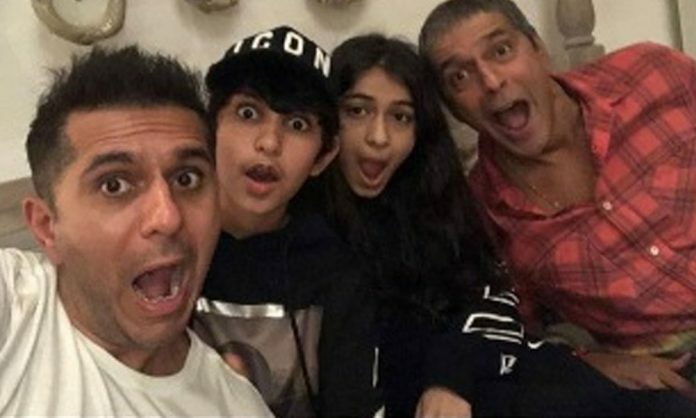 Ritesh Sidhwani took to his Instagram page and posted an insta story with his family and close friends including Chunky Pandey and daughter Rysa Pandey. Ritesh is very fond of traveling, a testimony of which can be seen through his social media posts, as he is seen regularly posting pictures from his vacay. The Producer had also recently thrown a bash celebrating the success of Mirzapur. Ritesh Sidhwani has had a very successful 2018 as his projects like Gold, Mirzapur, KGF have received immense praises from audience and critics alike. Next articleRadhika Apte On Rewriting The Rules, Graces The January Cover Of Harper’s Bazaar India!